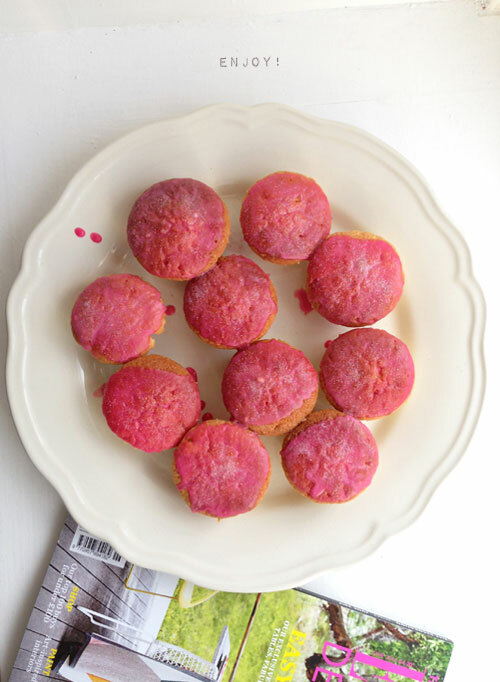 Brit Decor : Home Page: Brit Decor Bakes/ Doughnut Cupcakes! Well hello weekend! The sun has been shining brightly here in many parts of the UK this week and there seems to be that very typical feverish feeling amongst the masses, which drives us to take to the outdoors. Bars and restaurants with outdoor seating are suddenly transformed into hives of excited chatter. Is this exclusively a British thing? Here at the cottage, the sun has brought the garden on a treat and everything is now bursting with life, including my creativity! 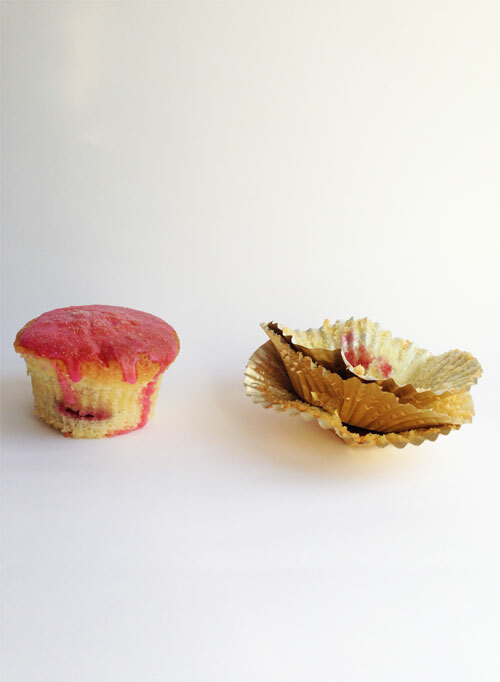 So for today's bake, it could only go one way; fast, bright, sweet and absolutely delicious. I do have a 'thing' for doughnuts but this time around I fancied something a little lighter but with the same sweetness and pretty glazed coating, so there was only one thing to do - create my own hybrid! 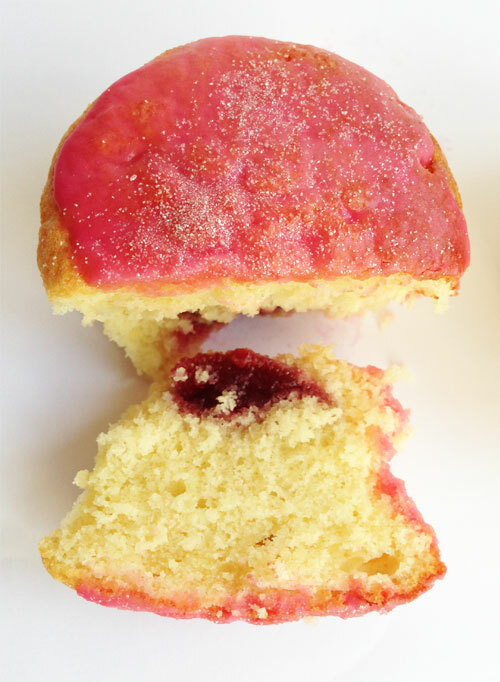 I chose a sweet raspberry jam filling but this recipe will work with any flavour and the same goes for the colouring of the glaze. Like many of my recipes, these were oh-so easy to make with minimal ingredients and time required, plus they look great when grouped together on a plate. Line a 12 case cake tray and preheat your oven to 1800c. 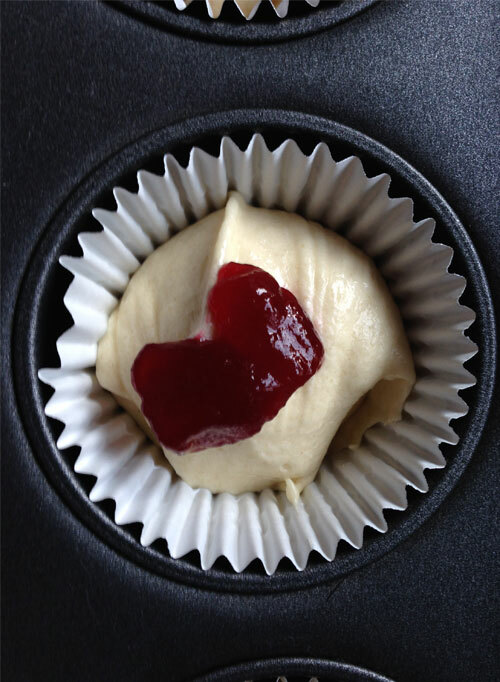 Mix together all of the cake ingredients, apart from the jam, using an electric mixer until light and fluffy. Spoon half of the mixture into the cases and then place a tea spoon of jam on top of each one. Finally add the remaining cake batter on top of the jam. Place in the oven for around 15-18 minutes. Now onto the glaze. 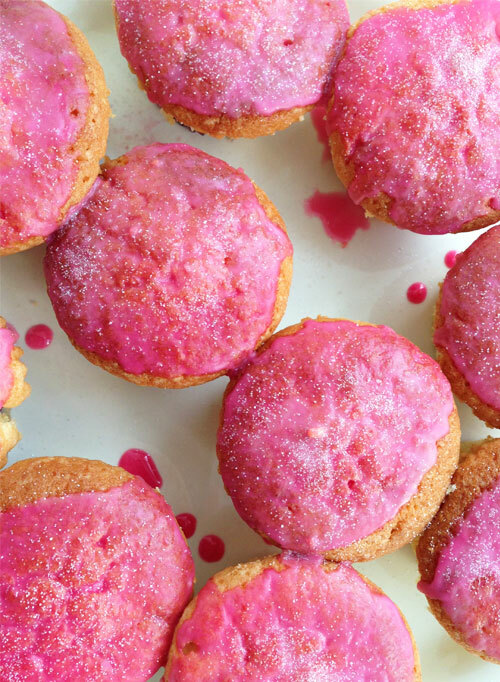 Mix together the icing sugar, vanilla essence, and milk until you have a light and runny syrup, then add the food colouring and create a shade that you are happy with. 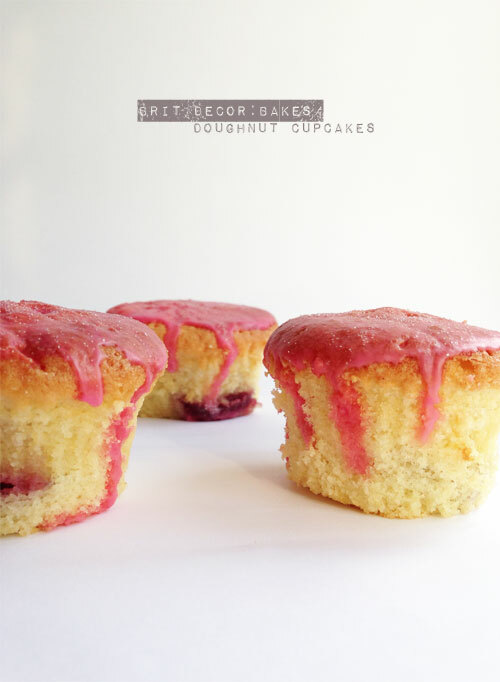 Once the cakes have cooled, remove from their paper cases and dip each one into the glaze mixture. Finally, sprinkle over some silver 'star dust' which gives a pearlescent-type finish.